This gluten-free breakfast staple is the perfect start to your day. 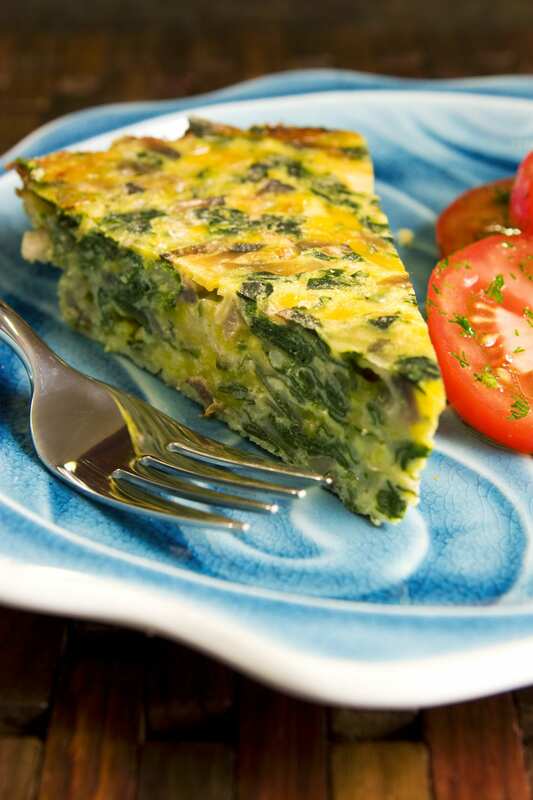 Packed with vitamins and calcium, this quiche will help you take on whatever comes your way! Preheat oven to 350 degrees. Squeeze the excess moisture from the thawed spinach. Rince the mushrooms and slice thinly. Add mushrooms, garlic, salt and pepper to a pan with olive oil and saute until mushrooms are soft. Coat a 9-inch pie pan with olive oil or a non-stick spray. Place the spinach at the bottom of the pie dish. Place the sauteed mushrooms on top of the spinach, followed by the crumbled feta. In a medium bowl, whisk together the eggs, milk, and parmesan cheese. Pour the egg mixture over the vegetables and feta in the pie dish. Top with shredded mozzarella. Bake the quiche for 45-55 minutes, or until the top is golden brown. Access and manage your health information. It’s all here.